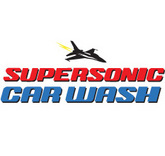 Supersonic Car Wash company offers advanced car washing services through advanced equipments. Apart from washing, they even provide service for waxing car bodies. They undertake washing and cleaning of both exterior and interior surfaces of vehicles. The company initiated its service in 1959 under Wayne and Marion Goddard. The personnel are expert to clean vehicles using minimum water and other environment-friendly solutions. Their superior waxing solutions help to regain lost luster of car paints. They are efficient to use non-pollutant, biodegradable and environmentally safe products for their service. The company is a member of International Carwash Association (ICA) and Utah Carwash Association (UCA).